Last week on the set of Batman v Superman: Dawn Of Justice, the Batmobile was hoaxed with a report it had been stolen. 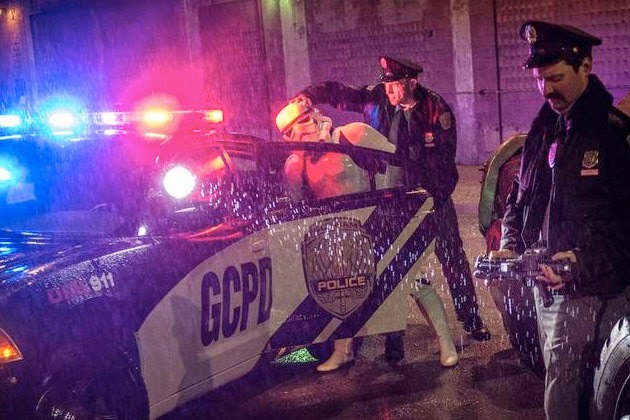 director Zach Snyder posted a picture of the Gotham Police recovering the famous ride and arresting some Stormtroopers as the culprits. Today Star Wars Episode VII director, J.J. Abrams fires back with some footage of the Millenium Falcon from the set of Star wArs and a special guest seems to be hitching a ride on the famous starship. Star Wars Episode VII is in theaters in 2015.